With two coastlines – one on the Pacific and one on the Caribbean – there's more than enough sand for everyone in Costa Rica. The country has everything from gnarly surf spots to deserted coves and volcanic black sand beaches waiting for you to explore. What's more, the beaches are surrounded by the country's jungles and forests, with mind-boggling biodiversity. And, as you'd expect, Costa Rica is also home to beautiful, pristine coral reefs that are perfect for keen divers and snorkellers. So what are you waiting for? It's time to dive in. 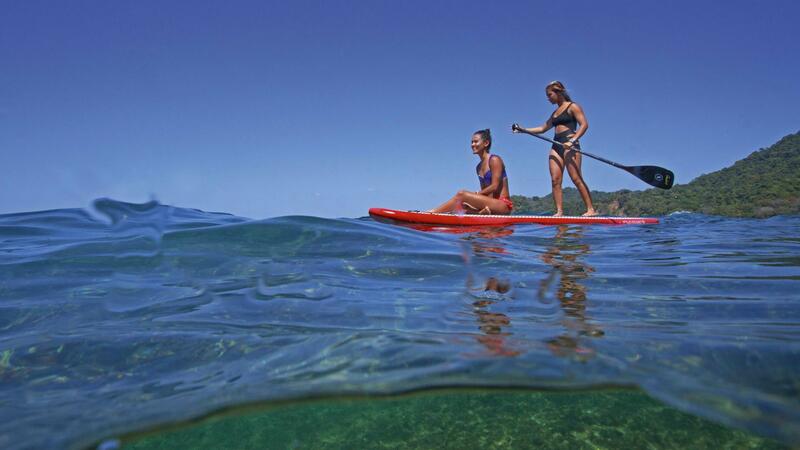 'Pura vida' is the mantra that Costa Ricans live by, and it translates to 'pure life'. It refers to the country's reputation for wellness. 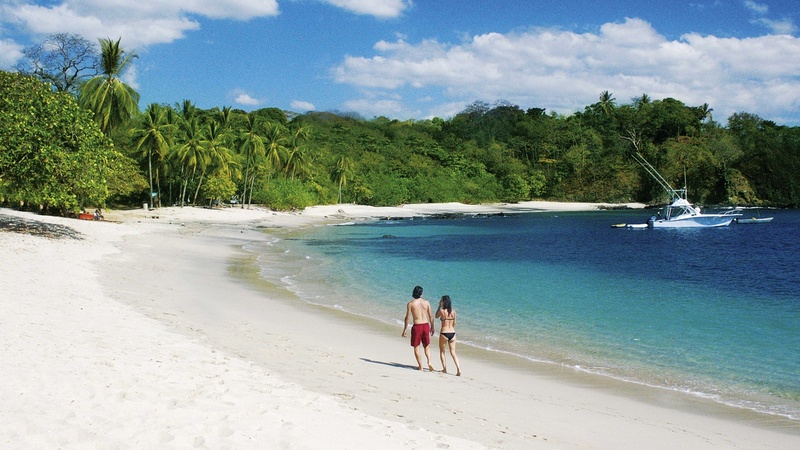 Costa Rica's Nicoya Peninsula is home to five districts that form one of the world's five Blue Zones, which means it's an area where people commonly live till the age of 100 and beyond. Elsewhere, Costa Rica's landscapes are the perfect place for trekking, forest baths, earthing, eating shedloads of tasty healthy food, and loads of alternative therapies. 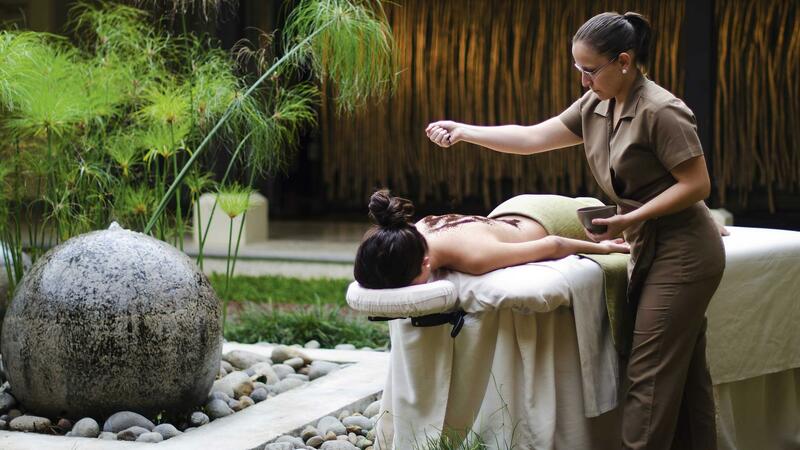 If your approach to wellness is more relaxed, kick back with a volcanic mud body wrap or a visit to the hot springs. Clocking in at around 2.5 times the size of Wales, Costa Rica is small but perfectly formed, making it incredibly easy to get around during a holiday. Most UK operators offer a variety of Costa Rica itineraries, covering everything from the coast to the cloudforests, but visitors are increasingly choosing to self-drive around the country – it's one of the best ways to take in Costa Rica's jaw-droppingly beautiful landscapes. But if that's not your vibe, the country has brilliant bus links, too, which are sure to take you from A to B with ease. 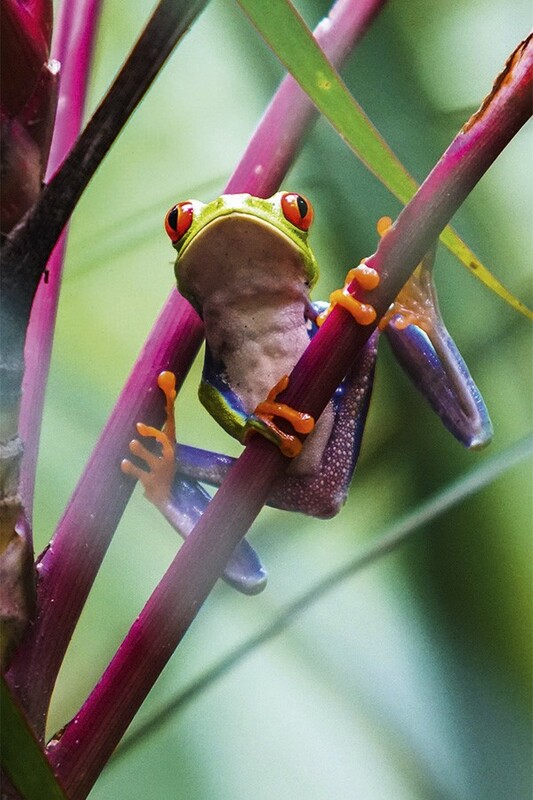 Did you know that Costa Rica has 5% of the world's biodiversity, but measures in at just 0.03% of the Earth's surface? That means the country more than pulls its weight when it comes to its wildlife line-up – particularly when it comes to turtles. Costa Rica is home to green sea, hawksbill and leatherback turtles, which you'll find in the Tortuguero National Park, Playa Grande Guanacaste and Ostional Wildlife Reserve, where you can also watch turtle nesting and hatching. Further out to sea, Costa Rica is also a brilliant destination for whale watching, with humpbacks frolicking in the country's Pacific waters for seven months of the year. 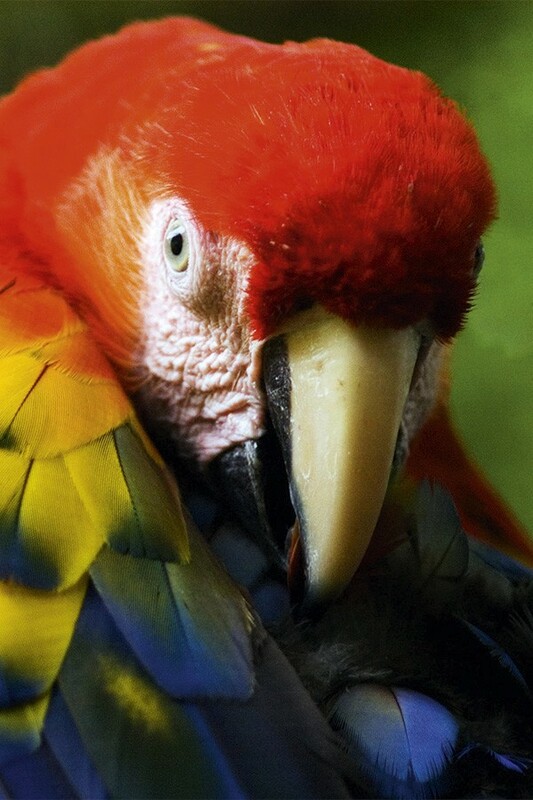 Back on land, Costa Rica boasts a whopping 900 species of birds, including the majestic quetzal, and sloths, monkeys and frogs galore. 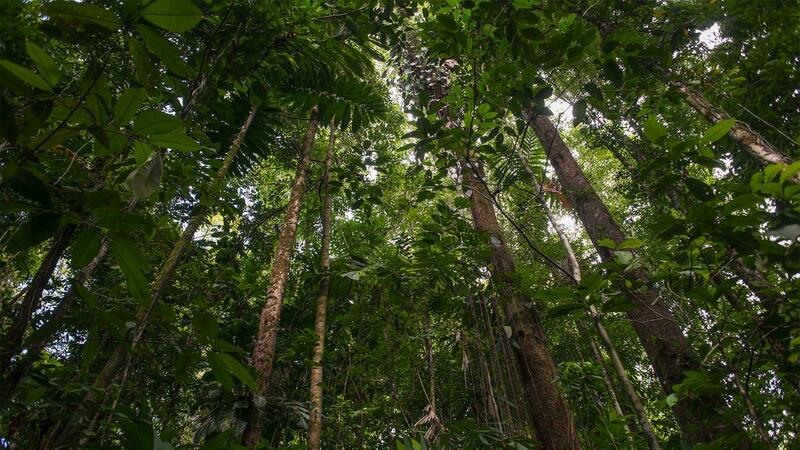 Costa Rica is one of the most biodiverse countries in the world, so it's not surprising that 25% of its land is under government protection in 27 national parks, 58 wildlife refuges, 32 protected zones, 15 wetland areas and mangrove swamps, 11 forest reserves and eight biological reserves. Across the country you'll find everything from deciduous forest to mangrove swamps, rainforest, herbaceous swamps, cloud forests and coral reefs, along with active volcanoes, caves and areas of historic and architectural interest. 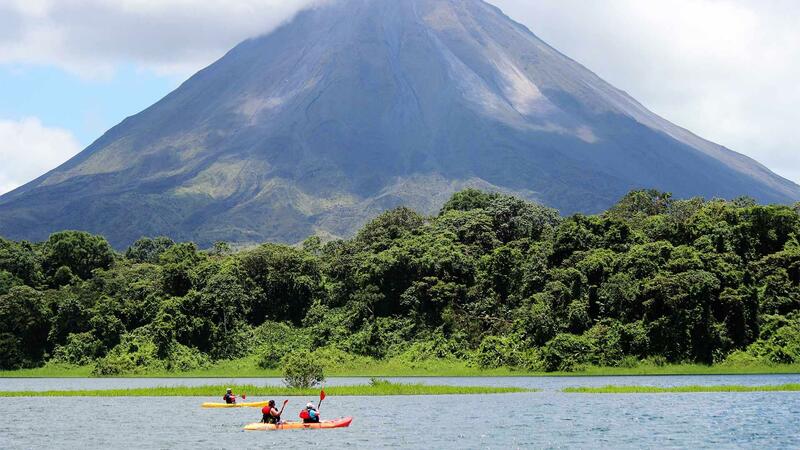 That's a lot of nature to take in... Our favourite pitstops are the Arenal Volcano National Park, where you can hike through lava fields from previous eruptions, and the Corcovado National Park, where you'll find lagoons, marsh and low-altitude cloud forest, ideal for hiking and camping (although you have to enter with an authorised guide). Elsewhere, Ballena National Marine Park is a must-visit, as it's a hangout for humpback whales and dolphins. Costa Rica has a diverse multicultural, multilingual population descended from a fusion of African, Chinese, Jewish, Lebanese and Italian immigrants, and the indigenous peoples of the Bribrí, Cabécar, Maleku, Teribe, Boruca, Ngabe, Huetar and Chorotega groups. As such, it has an extremely diverse – and delicious – local cuisine. Food ranges from traditional to innovative at restaurants and farmers markets around the country, and it all leverages the incredible organic local produce. San José, Costa Rica's bustling capital, is the main food hub, with a central market and restaurants that pride themselves on a farm-to-table ideology. 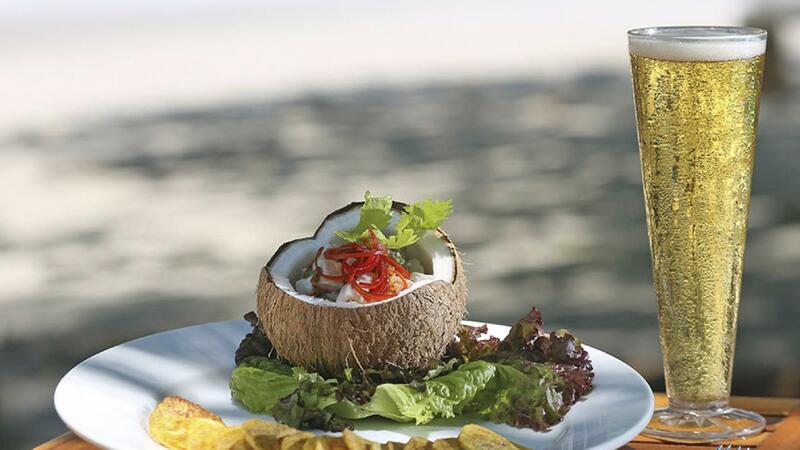 The focus is on fresh and organic food, with locally grown fruits, vegetables, herbs, fresh juices and smoothies – all of which are an essential part of the Costa Rican pura vida. Traditonal delicacies include gallo pinto – a local take on rice and beans – and casado, a hearty, healthy meal made of rice, black beans, plantains, tortilla and perfectly cooked meat. Elsewhere, if you're a coffee fan, a visit to the coffee plantations of Costa Rica's verdant central valley is an absolue must. And if you're a chocolate fiend, Costa Rica has a rich history of making chocolate – and the Chorotega people actually used the cocoa bean as their currency, right up until the 1930s. Costa Rica is a country rich in customs and traditions, and the best way to experience them is by experiencing a local stay with a local family. It's a unique opportunity to learn about rural culture, farming traditions and small artisanal industries, and will give you an insight into the essence and identity of Costa Rican people that you're unlikely to find anywhere else. 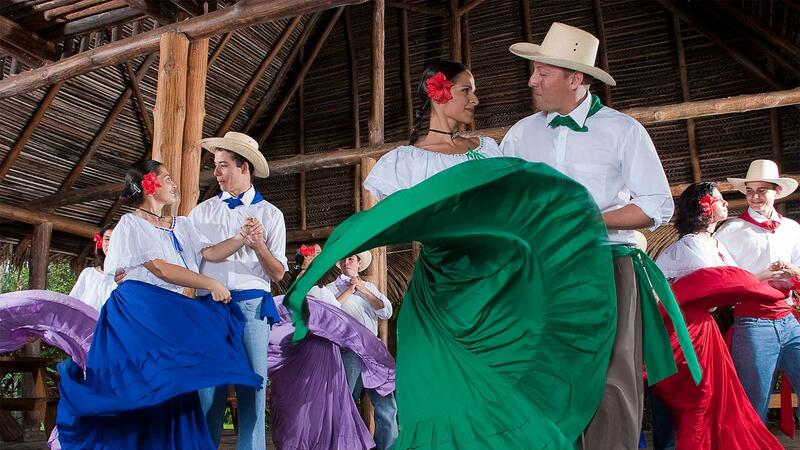 By experiencing the family environment that's characteristic of Costa Rican culture, you'll also enjoy personalised attention – which means sampling authentic home cooking, learning from local artisans and taking part in traditional festivities. A living experience is also a brilliant way to support sustainable tourism as it respects and protects Costa Rican culture, with money going towards improving local communities. A holiday that gives you amazing memories, and gives something back while you're at it? We're into that. With landscapes as diverse and as beautiful as Costa Rica's, it's no surprise that the country is a prime destination for adrenaline junkies and keen adventurers. Rafting, snorkelling, kayaking, sport fishing and surfing are all on the menu here – which means the biggest challenge is choosing what to do first. But not all adventure has to be extreme. Costa Rica has amazing hiking trails that cross mountains, pass majestic rivers and take in gushing waterfalls. You can explore the country from horseback and mountain bike, too. For something a bit more pacey, try navigating some of Costa Rica's most beautiful rivers from an inflatable raft. And where the country really comes into its own is surfing, with four different zones: the Caribbean coast, the northern, southern and Central Pacific coasts, each with their own different conditions. Because it sits on the infamously volatile Pacific Ring of Fire, Costa Rica is home to more than 120 volcanoes, with most of them in the Central Highlands and northern reaches of the country. Don't worry, though – only six of the volcanoes are still active today, making their bases perfectly safe to explore on intrepid hike or bike tours. They're more than just an excuse for an epic adventure and a great view, though, many of Costa Rica's volcanoes create hot springs that supply people with a unique kind of mineral water that has unique health and wellbeing benefits. 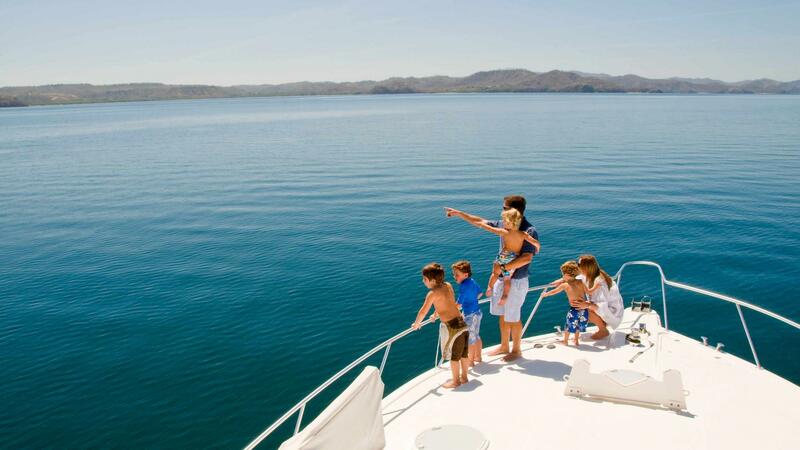 Thanks to the country's compact size, the ease of getting around and the variety of trip types to choose from, family holidays to Costa Rica are a breeze. Checking out the amazing array of unique wildlife is the perfect way to keep the kids entertained while learning about something new, and the beaches on both coasts are great R&R for everyone. What's more, the country's green season – when Costa Rica is at its most verdant – falls during the school summer holidays, meaning you'll see it at it's absolute best when you visit. 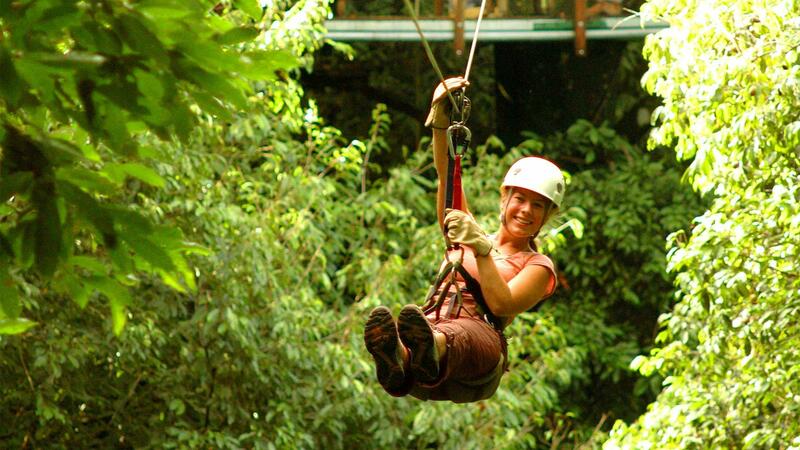 Has all this talk of epic adventure, family fun, beautiful nature and sensational stays got you desperate to start planning a trip to Costa Rica? You're in luck, because it's never been easier. Whether you want to discover the most stunning mountains and volcanoes, work out where to see specific species of flora and fauna or find the best surf breaks on the Pacific Coast, all you need to do is go to visitcostarica.com, where you can plan your trip, searching by region or activity, as well as looking into flights, tours, car rentals and much more.